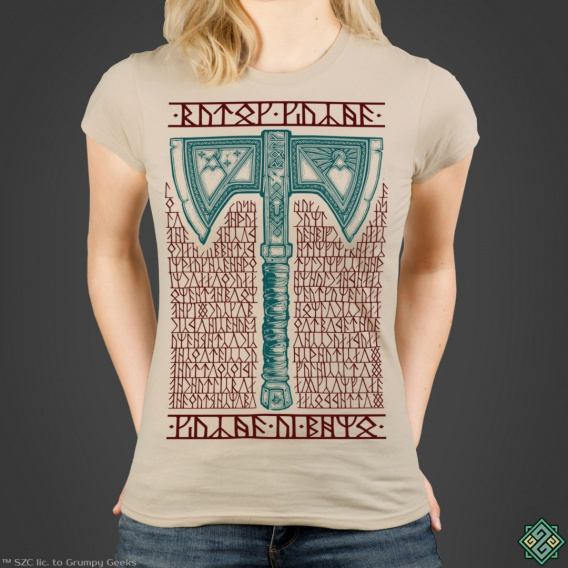 This design depicts an ornate axe - the weapon of choice of the children of Aulë! The Cirth inscription at the top reads 'Baruk Khazâd', while the inscription at the bottom reads 'Khazâd ai-mênu'. The runic text in the background is actually a part of the song 'Far over the misty mountains cold...' written down using the Angerthas Moria mode. 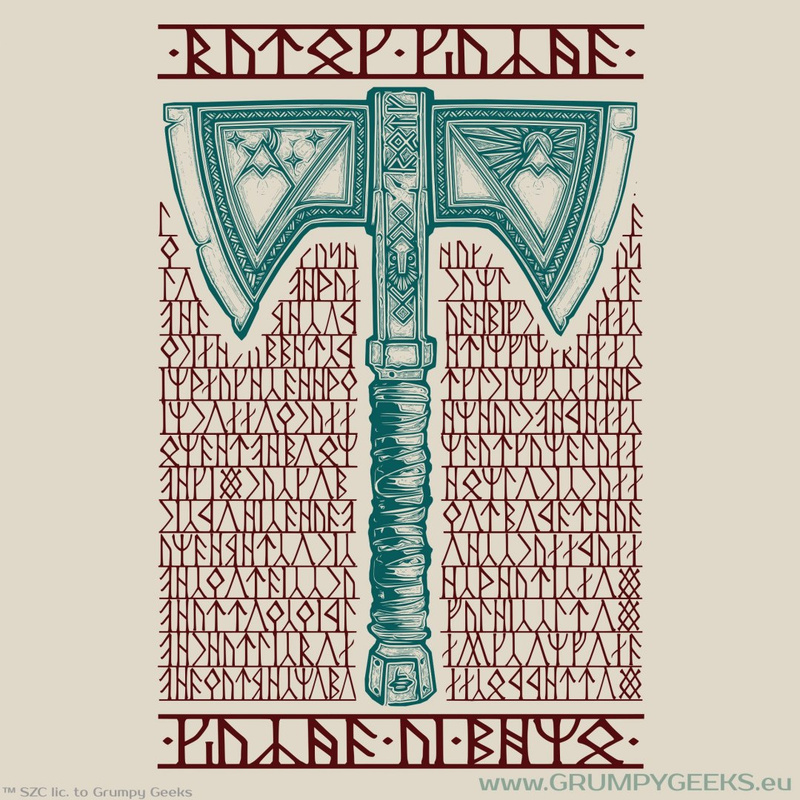 The tiny emblem of the House of Durin can be found on the pommel.